Most top trends look at consumers and the market. However, I want to look instead at the underlying new technologies driving the Future of Food in the coming years and even decades. Like so many disruptions, these technologies largely come from outside the conventional food industries or are at best on the periphery. So, what are these technologies and why are they important? Enormous advances have been made in sequencing the human genome. What once cost millions of US dollars now costs as little as USD1,000. As more and more sequencing is performed and analysed, the accuracy of the results on food tolerances and susceptibilities to food problems will increase exponentially. This means that people will start to be able to reliably choose their food based on their genome. We’re starting to understand how the environment affects and modifies how genes are expressed, known as the epigenetic effects. Indeed, some of these modifications can be passed on to our offspring! 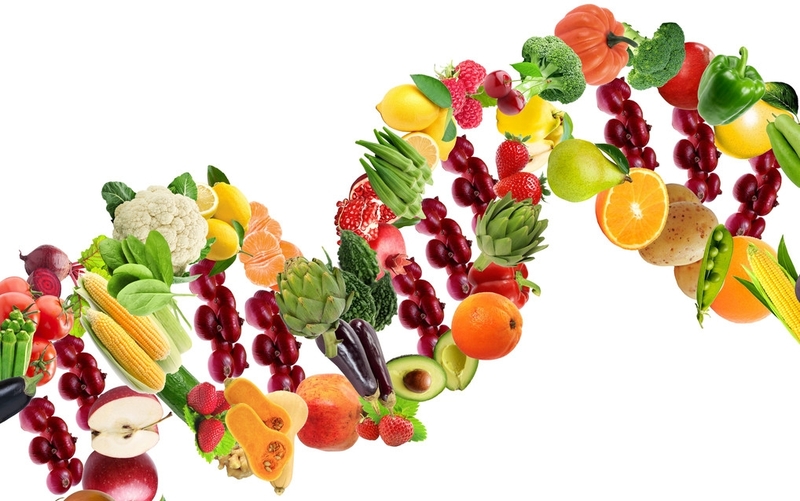 Nutriepigenetics, how our nutrition effects how our genes are expressed, is the new logical outgrowth of this rapidly growing field. For more info listen to my podcast with Bicheng Yang of BGI, the largest gene sequencer on the planet! a. Three long term studies have demonstrated that it’s highly likely that the early life microbiome predicts the probability of children developing obesity and type 1 diabetes later in life. b. Diet and drugs are the largest environmental influences on our microbiome. c. Despite a recent article in the magazine Cell, probiotics are still considered to offer many benefits. Interestingly this even includes positive effects on emotional and cognitive function. d. The discovery of neuropod cells demonstrated a direct link between the gut and brain. This is a link that doesn’t require sensing of gut hormones and provides immediate feedback to the brain from the nutrients we ingest. This industry seeks to produce traditional animal products without the use of the animal. It’s had a lot of publicity, particularly on the cell-based meat front. Conventional meat organisations are largely fighting a rear-guard action to block the products. This will probably have as much long-term success as the music industry had trying to ban digital music! Fish are also the target of cellular agriculture companies. Especially products such a Bluefin Tuna, which are in decline and extremely expensive. Their advantage compared to their conventional counterparts is that their nutritional profile can be tailored. For example, for low cholesterol or fewer saturated fats and more unsaturated fats. When will this all this reach the mainstream market? Opinions vary but my prediction is that in 5-10 years the industry will be worth 5-10 % of the current global USD900 billion conventional meat market. For more info see my podcasts with Brian Spears of New Age Meats and Neta Lavon of Aleph Farms. Acellular agriculture works by inserting the gene for a particular protein into a microbe. You then grow these microbes in large fermenters, and they produce the protein you want. Next you remove the microbes, harvest the protein and process it into your end product. This area attracts less controversy at the moment than cellular agriculture. This is because it’s largely targeting products with a massive shortfall like whey and casein or strongly growing markets for products like egg whites. The potential for the replacement or nutritional tailoring of numerous food products is vast. The current products mentioned above are just the tip of the iceberg! These are proteins that can be used in place of their animal counterparts. Pea and bean-based meat alternatives are a large part of this growth as well as lesser known entrants like oats. This is another area with some high-profile players in the alternative meat sector such as Impossible Foods, Beyond Meat and the soon to be released Incredible Burger from food giant Nestle. Driven by the rise in flexitarianism (where consumers “flex” between plant based and conventional meat products) and sustainability concerns this will continue to grow strongly. These products can also be tailored for their nutritional composition and work well with the recommendation to feed your microbiome high amounts of fibre. Why are all these technologies important? Two words which will drive the Future of Food for decades…………. “Personalised Nutrition”. 1. Their genome and their genetic food predispositions. 3. Their microbiome composition and its characteristics. Based on this they then choose foods specifically tailored to their individual needs to optimise their health and longevity. Chinese food Megacities – a glimpse into the Future of Food? For the good of society should industry take the lead in Innovative Policies?